After a rigorous beta with 400 Reseller over the last 2 months, we’ve now introduced Windows Multi-Domain Hosting for all our Resellers! We’re thrilled to make another addition to our growing list of Hosting products and we’re now halfway through our Hosting products roadmap. We’re currently offering Windows Multi-Domain Hosting at an introductory price, with packages starting at just $4.99. You can take a look at more details about this Introductory Promo here. This product, like the ones we’ve recently launched, is backed by our new & improved Infrastructure with a special focus on added redundancy, faster speeds and higher uptime. Moreover, we’ve also worked hard on providing specialized support for Windows Hosting and have a team of Support Specialists in place for all queries/tickets related to our Windows Hosting products. You’ll be able to offer 2 plans for this product i.e. Hosting for 5 Domains and 10 domains. Both these plans come with Unlimited Disk Space, Bandwidth and Email Accounts. To top it off, we’re offering these plans at the following introductory prices till the 30th of April! Why should you offer Windows Hosting? While the debate between Linux and Windows Hosting is endless, as a provider here are a few reasons you should consider offering Windows Hosting. While Windows Hosting is popular all over the world, in most Asian Markets particularly India, China and Korea, Windows Hosting is generally preferred by a majority of Customers. So if your target audience includes Customers from these nations, offering Windows Hosting is imperative! Most major providers offer both Windows and Linux Hosting as part of their product lineup. By adding Windows Hosting to your lineup you can also come across as a global provider with a variety of options. Get Started with Windows Multi-Domain Hosting today! If you have disabled automatic signup for new products, simply sign up for this product from the Manage Products and Pricing section in your Control Panel. To help you get started, we’ve put together a Start-up guide that will lead you through signing up, setting prices and displaying plans on your SuperSite. If there’s anything else you need help with you can just leave a comment or even contact your Account Manager. 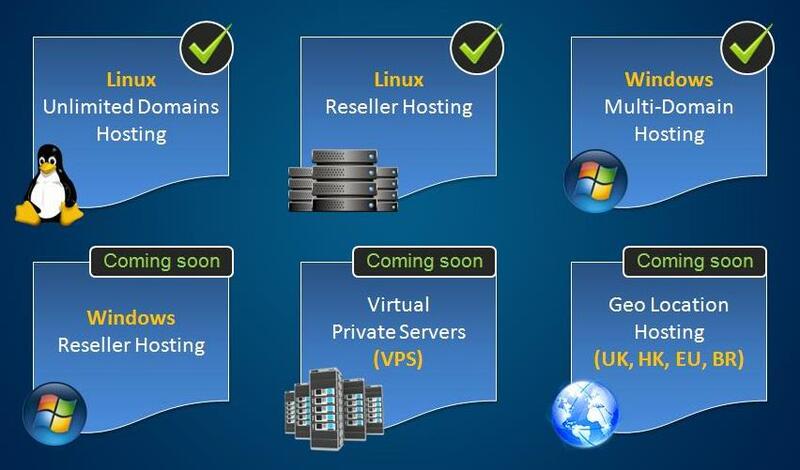 You’ll soon be able to participate in the Beta Program for Windows Reseller Hosting! Watch this space for more details on that. We would also love to know if you have any Product/Feature suggestions – just drop us a line in the comments section below.